Clara Sharp was my wifes aunts great aunt. She was born in 1869 the youngest of three children. Her parents were John and Mary Ann Crawford and in 1871 the family were living at 270 Summer Lane. Claras father, John was employed as a Gun Barrel Filer. By 1881 the family had moved to Court 35 No1 268 Summer Lane and Clara was now the middle child of six siblings. Ten years later, in 1891, the family had moved yet again and were now residing at 22 New John Street West. 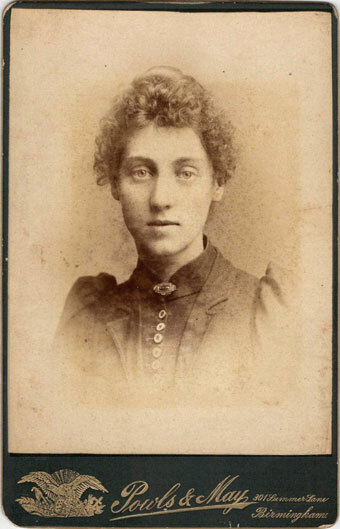 Clara at the age of 22 had become a Board School Teacher, two of her brothers, Charles Henry Crawford (1865) and Arthur Crawford (1875) had become Gun Finishers, her sister Emma Crawford (1873) was a Paper Box Maker, and her youngest sister, Maud Alice Crawford (1878) a Silver Worker. At some point between 1891 and 1894 Clara married Harry Sharp, a Brass Worker, and was living at 70 Upper Sutton Street with her husband and two children, Reginald (1894) and Doris (1895). The Sharps then disappear of the radar until the 1920s when the web shows the resident of 52 Albert Road to be Sharp. What is certain is that 23rd November 1940 Clara Sharp, the widow of Harry Sharp was living at 192 Albert Road for that was the night that she was killed, aged 72, during a German air raid on Birmingham. Albert H Crawford was my wife's aunts uncle and was the youngest child of Charles Henry Crawford (Clara Sharp's brother) and Rosina Crawford. 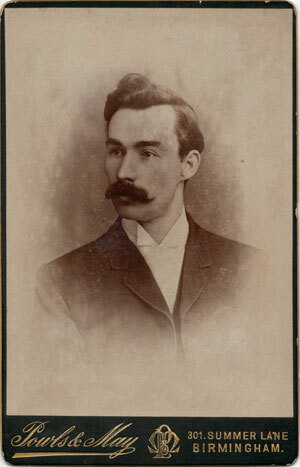 Along with his parents and elder sister, Rosina May (1895) lived at 105 New John Street West. Albert worked in the gun industry for a short while. 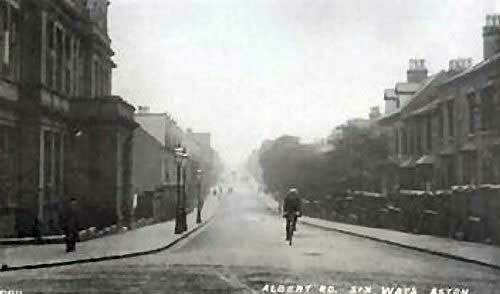 However, following the outbreak of war in 1914 Albert enlisted in the army. It is thought that because of his age he did not enlist until 1917 when he would have nineteen. I am currently attempting to get verification of this. 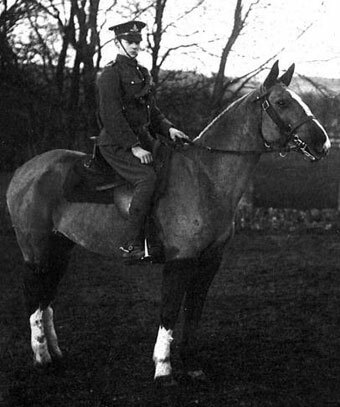 We know that he joined, or was assigned to the Royal Field Artillery and saw action through France and Flanders. Sadly it has proved almost impossible to find his service record. What is known is that he was killed in action on 4th November 1918, at the age of twenty, most likely as a casualty of the battle of Sambre, which commenced on that day. Albert is buried, along with other soldiers from the battle, in Wassigny Communal Cemetery in France. 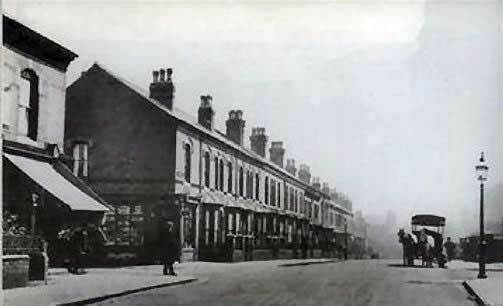 Albert Road was a road that played a very important part of our lives growing up in Aston, firstly to look after our health there was Albert Road School Clinic, I can still remember with dread having my milk teeth taken out there, no wonder we grew up with a fear of dentists. Many under-nourished children also went there for sun-ray treatment, anyone remember that. I also remember when I was in the Senior Girls at Burlington Street School we went to Albert Road School for cookery lessons, where we wore our handmade and embroidered aprons and hats, these had a broad band at the front which was embroidered and had elastic threaded through the back to keep our hair out of the food. Another thought I think we also did laundry there, I definitely recall ironing, all so we could grow up to be good little housewives like our mothers. At the other end of Albert Road on the corner of Witton Road was the wonderful library, which in a previous life had been the Council Offices for Aston before it was incorporated into Birmingham. There was a wonderful wood staircase leading up to the Reading Room where the old men of the day would go for warmth and to read a large selection of newspapers. We slid down those bannisters many times, luckily we were never caught.